MAN SET TRAP TO CATCH BIRDS. IS THIS POACHING? You are at:Home»Caught In The Act»MAN SET TRAP TO CATCH BIRDS. IS THIS POACHING? 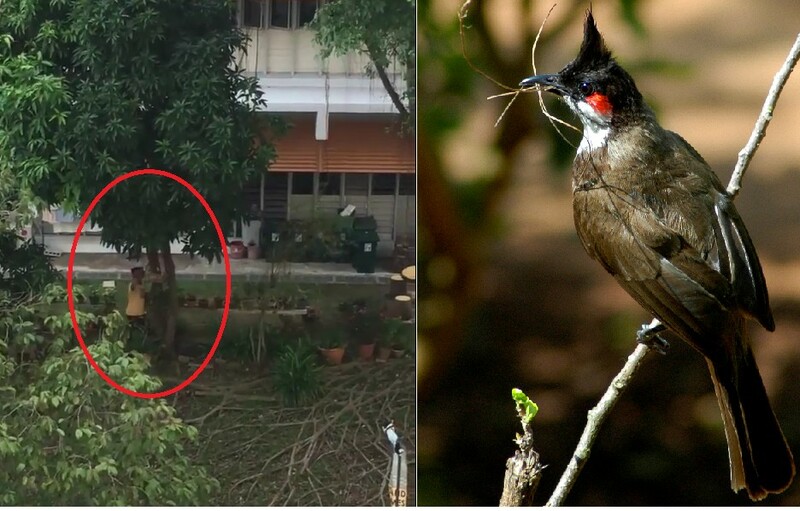 Is this allowed…they’re catching wild Bulbuls. Using a caged female to lure more into the trap. Men at PLMGSS opposite seem to be trapping the birds. The guy is fixing the trap back after catching one bird. So sadddddd. Update: tried calling AVA since the the first 3 men started trapping and couldn’t go through, their online submission form as well. Previous ArticlePATHETIC PUNK SEEKING ATTENTION BY THROWING OFO BIKE FROM BRIDGE!